Italy has long captivated the hearts and hunger of travellers, and now Sicily is coming into its own. 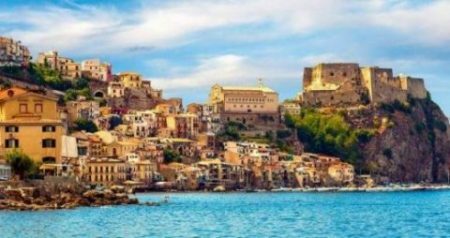 With 3,000 years of rule by the Phoenicians, Greeks, Romans, Byzantines, Arabs and Normans – Sicily is a melting pot of cultures, and a rich, vast living museum. The Mediterranean climate makes for a bounty of delectable dishes and home to more grape varieties than any other region in Italy. Here one can enjoy sweet and dry Marsala and wines of enhanced complexity and richness thanks to the volcanic mineral content. The wellness industry is gaining momentum and some excellent spas are emerging. 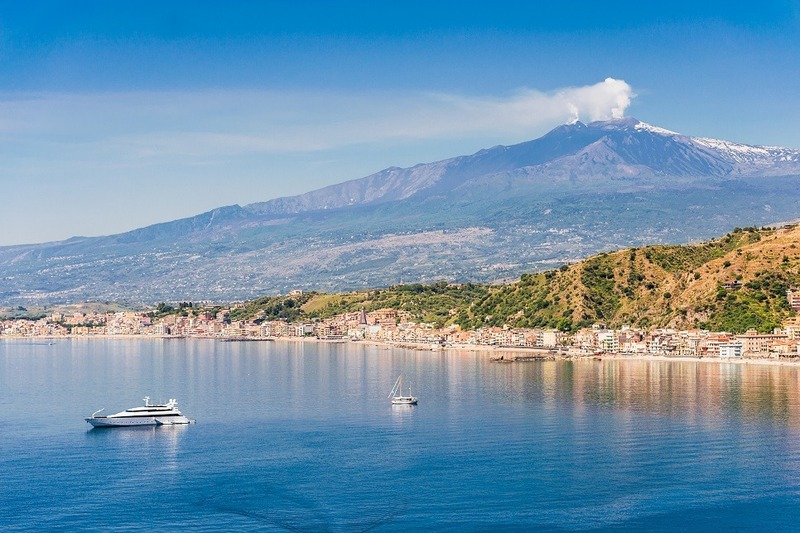 Catania is the stepping-off point for exploring the east coast and travel by car is essential to discover the treasures of Sicily, from its mountains to aquamarine shores. 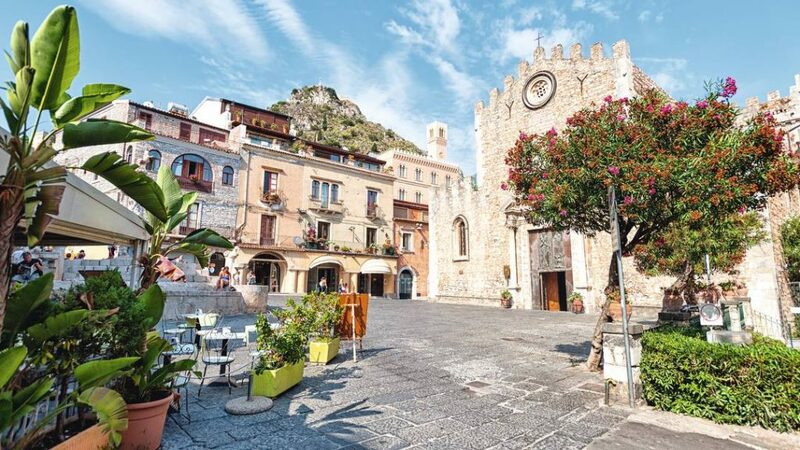 Situated on craggy cliffs of the island’s east coast, Taormina seduced Goethe more than 200 years ago and continues to enchant visitors today. One of Sicily’s most popular destinations, the little town of Taormina charms with its gardens, ancient ruins and breathtaking views of Etna. At the base of the Taormina cliffs, the Belmond Villa Sant’Andrea was originally built as a private residence that has expanded over the past century to welcome guests to its sun-drenched location on the Bay of Mazzarò. With 64 rooms and suites, many with sea views and balconies, the villa has a luxurious yet relaxed elegance with cream marble and accents of traditional Sicilian art and ceramics throughout. Descending through lush tropical gardens, a private sandy beach with loungers, private cabanas, beach bar and warm aquamarine waters await. To see the property and surrounding bays from the water, guests can enjoy a complimentary boat excursion during the summer months. 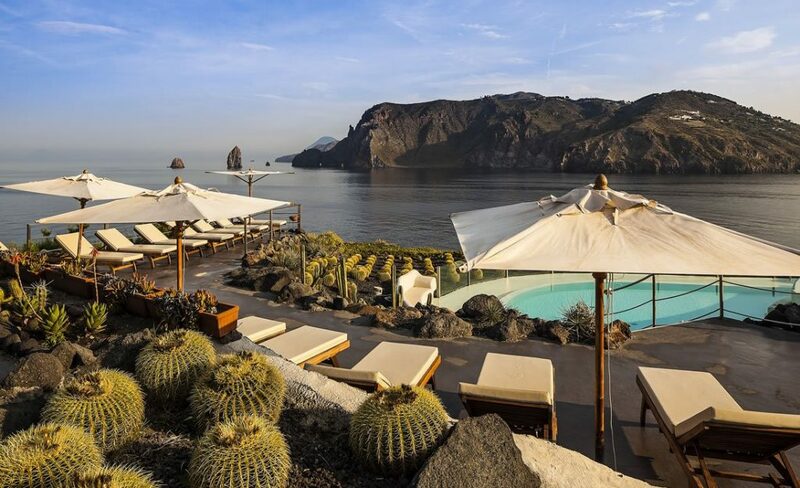 Stay fit and pampered with a fitness centre, Turkish steam bath and Wellness Centre that will help prepare for the sun with treatments using Sicilian ingredients like Lipari pumice and prickly pear. The Energising Intensive Treatment with Siberian ginseng is hydrating and heavenly in the hands of top-notch therapists. 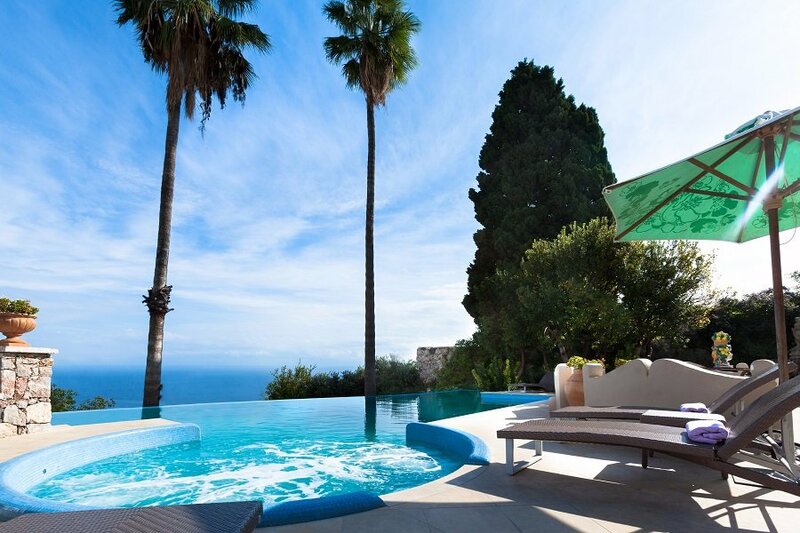 To stay in Taormina is to be swept into the heart and imagination of travellers who for centuries have come to savour la dolce vita. 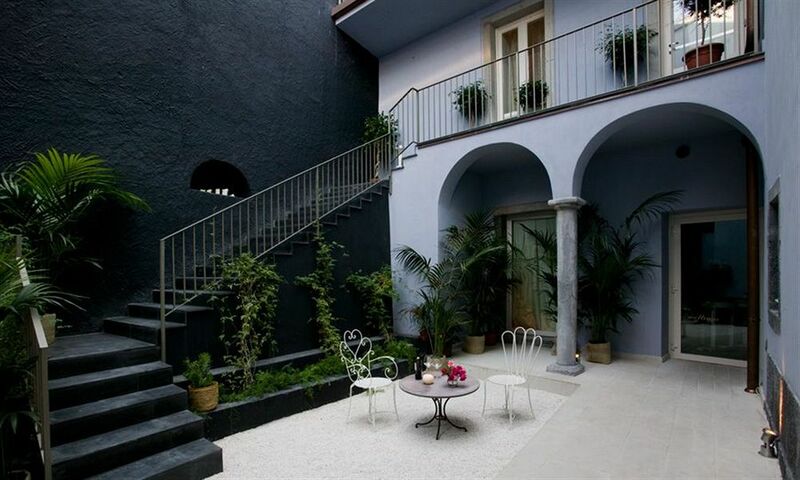 Minutes from Porto Messina are the shops of Corso Umberto l and a spectacular ancient Greco-Roman amphitheatre where a Sicilian villa has been transformed into a luxury boutique hotel. Named after English architect Charles Robert Ashbee who designed the villa in 1908, The Ashbee celebrates its English heritage in Sicily with interiors that elegantly marry traditions from both worlds. Each of the 25 rooms and suites in the three adjacent villas celebrate distinctive and hand-selected design elements and luxurious fabrics. The spa suite offers comfort and luxury with a cosy living room, a hammam and chromotherapy Jacuzzi tub. Step off the mainland at Milazzo and island hop through the beautiful Aeolian archipelago whose unique geology, topography and history have earned them a place on UNESCO’s World Heritage list. Comprising eight islands, Lipari is the largest and most lively, with many quaint restaurants and boat tours to surrounding islands – including a spectacular night tour to the active volcanic island of Stromboli. The neighbouring island of Vulcano is popular for the healing sulphurous mud pools that are said to help skin and rheumatic conditions – if you can brave the aroma. From the cliff of Vulcanello the sea breeze and exceptional island views from Therasia Resort sets the mood for utter relaxation. The 94-room resort offers rooms with terrace or balcony, three restaurants and three outdoor seawater pools with the same extraordinary vista. The white adobe exterior, light blue palette and oceaninspired decor bring the best of seaside living indoors. The presence of Europe’s largest and most active volcano is undoubtedly an experience to behold. Mount Etna has laid phosphorus-rich fertile ground that has resulted in many great vineyards as well as olive, citrus, pine and delectable chestnut groves. A popular hiking area, visitors can approach Etna by foot or vehicle from the north or south sides to 3,000 metres. Once the site of a vineyard, from the outside Villa Neri is reminiscent of a bygone era – that is until you step inside to discover a chic, elegant hotel. 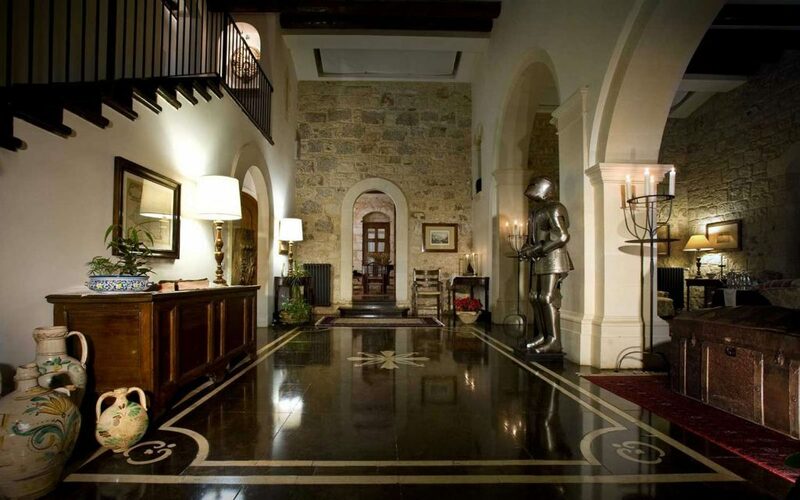 An expansive lawn graces the lobby entrance and the stark contrast of pewter grey walls and white detailing flow throughout the 24-room villa set amongst olive groves at the base of Etna. The decor is bold and elegant with a modern twist on traditional patterns in bed and bathroom. Two suites have a Jacuzzi tub on a private terrace or in the bedroom, while others have chromotherapy rain showers. With five room categories, none disappoint and all promise tranquillity from the secluded villa halfway between the coast and the mountain. The Le Dodici Fontane Restaurant is excellent and proudly showcases regional wines to complement the expertly curated menu with dishes like cauliflower crème brûlée with Ragusano cheese bon bons. The knowledgable, attentive staff provide service that matches the fine dining experience. In the small town of Linguaglossa on the slopes of Etna, the Shalai Resort is a hidden gem whose contemporary and intimate retro design could easily be transplanted to SoHo. Discreet and peaceful, the 13-room resort beautifully marries contemporary style and history with thoughtfully restored exterior, angelic ceiling murals and a small central patio area. Despite the name, you’ll hardly miss having a pool and garden space with the Jacuzzi, steam bath, dry sauna and beanbag loungers in the cocoon-like space. The wellness menu is small but comprehensive with massages, facials and rituals from Italian spa line Comfort Zone. After a day exploring local wineries and Etna, enjoy the immediate relief of the signature Shalai Massage given on a chromotherapy waterbed. As you travel south on the coast, it is essential to take the time to get lost in the narrow streets and beauty of baroque in Ortigia, the historical city centre of Syracusa. At the beginning of a chain of Sicilian UNESCO World Heritage Sites, history mingles with contemporary art and culture on the small island accessible by footbridge. A gastronomic institution since 1985, Chef Giovanni Guarneri’s restaurant Don Camillo has celebrated the regional traditions and seasonal offerings of Sicily with tasting menus that have earned the family-run restaurant Michelin stars and high acclaim. Minutes from the Piazza Archimede, make sure to book ahead. South of Syracusa is a region that was completely destroyed by the 1693 earthquake and rebuilt to represent “the culmination and final flowering of Baroque art in Europe” according to UNESCO. Maintaining old-world charm, the region is rich in history, festivals, ceramic art and citrus groves and to leisurely meander the cobbled streets of the towns of Modica, Noto, Caltagirone, Palazzolo Acreide, Ragusa, and Scicli, which are nothing short of delightful. The restored 19th-century olive and citrus farm forms an oasis of tranquillity from its hilltop vantage in the region of Noto. With modern rooms and suites you will feel far from the bustle of daily life relaxing poolside surrounded by spacious lawns dotted with large hammocks and canopied lounge beds. The small but chic wellness centre has a treatment room and a covered outdoor Jacuzzi, ice fountain and steam room that is available for an hour each day. The wholesome spa menu focuses on various styles of massage as well as beauty treatments. A place of simplicity and respite, the Eremo della Giubiliana is a restored luxury hermitage situated between Modica and Ragusa. Once a place of contemplation, the 17-room Eremo is no longer inhabited by friars, but guests, who can choose to stay in one of the 15 unique rooms, or two of the grand suites. The Eremo’s cream stone structure is accented by pink bougainvillea where archways reveal a hidden terraced garden with prickly pear, almond trees, sunspeckled tables and an outdoor pool. Guests can book a massage with experienced therapists in a dedicated treatment room that opens to an ancient necropolis dating to between the 5th and 3rd century BC. 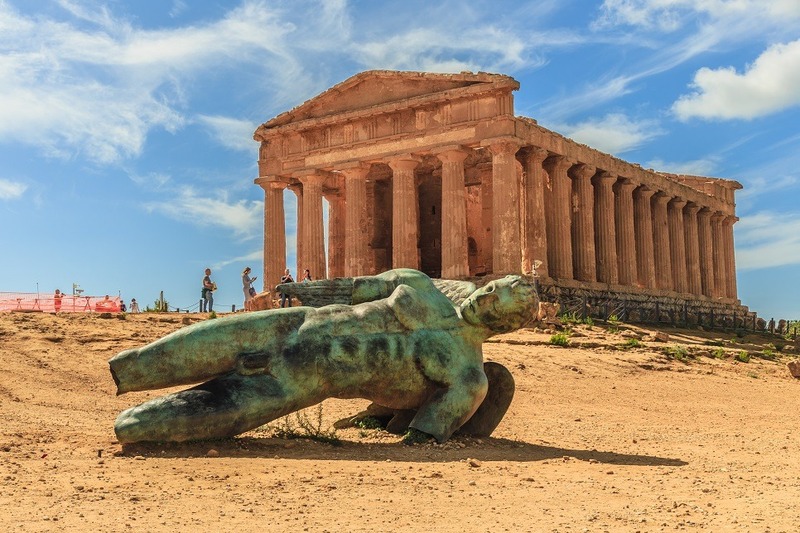 The landscape opens up the south-west province famed for its ancient temples and sandy beaches, Agrigento. Don’t miss typical Sicilian favourites like granita with brioche and ricotta-based cassata and cannolo Siciliano as you pass seaside towns heading west. 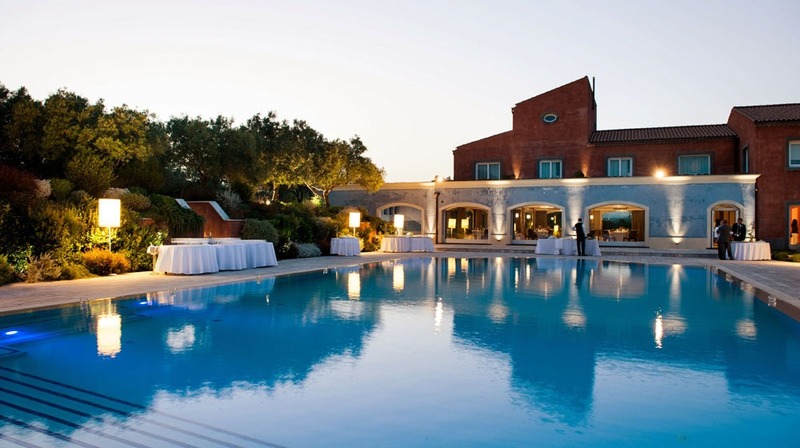 Spanning 230 hectares, the Rocco Forte Hotel resort sets the bar high for spa and golf in Sicily. Close to the famous Valley of Temples, all 203 rooms and suites have views of the ocean and were designed using local materials such as stone, sand and wood. 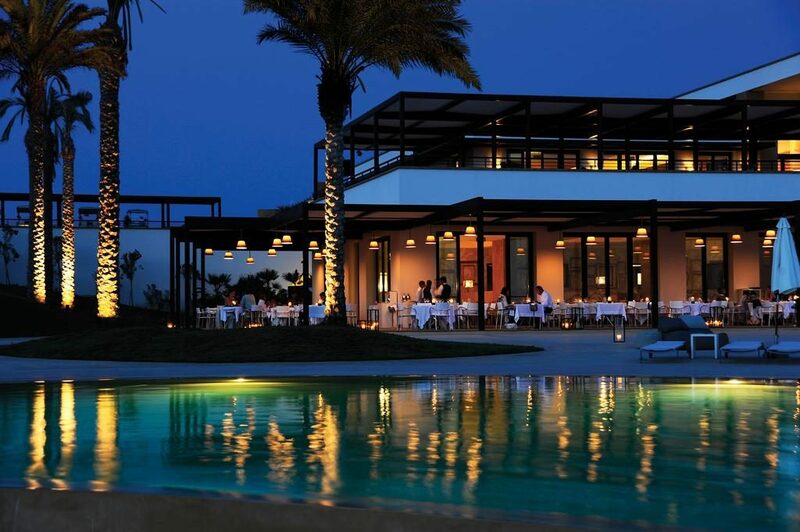 Despite its size, the resort is tastefully infused into the landscape in hues of Latin terracotta and ochre. Striving for sustainability, the resort uses grey and rainwater harvest to assist in watering the extensive golf green, solar energy and photovoltaic panels and bike depots throughout the car-free property to make it easy to get around. In addition to the large pool with ocean view, the 4,000sqm spa pavilion has Sebastian Kneipp-inspired thalassotherapy pools which incorporate water jets and varied temperatures to boost circulation. With something for everyone, the extensive spa menu offers rituals and treatments from Rocco Forte, Sepai and Pevonia. When not swinging your club, check out the excellent yoga and fitness classes that are complemented with a well-equipped cardio and weights facility.